Major New Features, Content and Improvements! The development of Update 1.3 is finally complete and available on Steam and itch.io. This ended up taking much longer than I'd hoped due to a variety of things but its finally done. 1.3 introduces all kinds of new features as well as a great number of improvements to the core gameplay. There are new items, enemy variants, map objects, buildings, challenges, secrets, and even a new hidden leader character to discover and unlock! Read on ahead to take a look at what this update has to offer. Salvageable objects can be found around the map, they range from rock outcroppings, to ancient weapons, to piles of rubble. Your followers can be assigned to break these down over time and claim rewards. Different objects offer different rewards, so be sure to poke around and see what you can find. Breaking them down can also take quite awhile in some cases, so it's usually best to leave some followers working on it while you do other things. If something comes up and you need to quickly recall all your followers there's even a new function in the command menu to cancel all in-progress excavation work. New leader buildings have been added to both the Sage and the Forgemaster! A new chapel add-on allowing the assignment of Paladins has been added to the Sage and explosive Aether Mines have been added to the Forgemaster along with a new upgrade to go with them. Paladins are tough melee fighters that buff nearby allies with a shield effect while they fight. Aether Mines cost very little Material per mine so they're a good use for any excess Aether you may have, when upgraded they even have a chance to persist after detonating. Forgemaster has received some tweaking to his units as well. His wave of endless Forge units made it a bit too easy to win in defensive situations and they tended to die too quickly when fighting away from base. Overall they're much tougher when upgraded but don't spawn nearly as quickly by default. Gearchanters have also received a small buff to their healing. Lastly Spikes are now a bit tougher but can no longer be healed while in combat, so you may not want to place them in vulnerable spots. 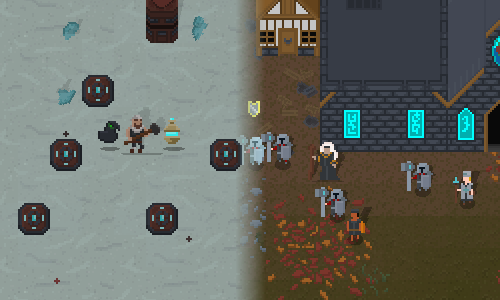 Combat and Healer AI for followers has been greatly improved. Priests should spend less time running into danger chasing after distant wounded, however that means you have to manage their placement a bit more closely now. Likewise, soldiers will no longer go after targets solo but will instead always alert their nearby comrades and those at their assigned rally point when they spot a target. They also know not to wander too far when chasing fleeing targets. Settlers should also now pick which side of buildings to repair much more intelligently, resulting in less settlers running outside walls to repair them. Attack Orders have also been changed in relation to AI. Now, when you issue an Attack Order your followers will completely prioritize the highlighted target, they won't stop attacking that single target until it's dead or you call them back. While this is good for focusing down specific targets make sure you manage your troops closely or they may end up in a vulnerable spot. Several new items, rare traits, and enemy variants have been added, some old items have been reworked as well. Hard mode has been reworked to be more interesting and fair. Threat levels no longer increase more quickly in hard mode but enemies have all new skills and abilities at their disposal. That last clip in the short trailer up above is an example of one of these new Hard Mode enemy skills. Idols also have several new rewards to offer. 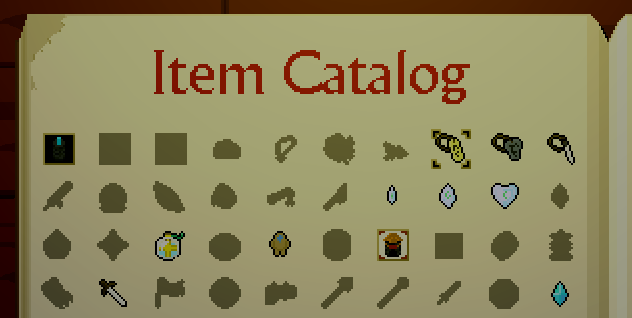 In addition, an item catalog has been added to the codex. In it you can view an item's description as well as some additional lore about the world. Every item will be cataloged here, so you can easily see if there are any items you've never found before. Of course this isn't all that's been added, this is the largest update that Gods of the Fallen Land has ever received. There are many small and large improvements and additions all around. There's a new keybinding menu, a new and improved mini map, and a whole new character with their own set of buildings and units. However you can take a look at the full update notes below for more information. Before that though I want to thank everyone who has supported Gods of the Fallen Land, from the bottom of my heart. Thank you. This will probably be the last major update of this scale as I want to fully move on to new projects, but I hope I can see you there in the future. A new leader character, unlockable through using a certain item in a specific place in new games. Salvageable objects are now scattered around maps, followers can be assigned to break these down over time and claim different resources from them. Improved and expandable minimap, points of interest will now remain marked on your map once you’ve seen them once, even if they’re out of view. Guide tab added to Info Log, will give you suggested actions for the first few in game days. Sage charged attack will now auto fire when fully charged. Digging speed for haulable objects now scales based on its weight. Combat followers idle or assigned to a rally point now have hard limit to how far they’ll go chasing a target before coming back. 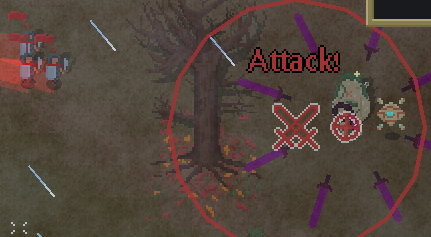 Units will now prioritize targets near the center of an attack order when its issued, ignoring enemies closer to them. Excavators will now automatically collect nearby haulable objects around the area they were assigned, this is marked with a flag. ’Lifeglass Cross’ item changed from consumable item to cooldown based item, existing versions of this item in save files will remain consumables. Status effect icons are now colored based on whether they are positive or negative, and whether they are applied to allies or enemies. Gate rotate key changed to ‘V’ by default. Fixed several in-field UI elements being rendered incorrectly at night, improves visibility of some UI elements at night. Gods of the Fallen Land - Update 1.2 + Steam Release! 'Gods of the Fallen Land' is now available! What is 'Gods of the Fallen Land'? I randomly decided to play this again just last night, now 1.2? Yes. Village building action-strategy? YES, i have always wanted a Populous-Civilization game.